Having spine surgery for your back condition is a serious decision, but it may also be the best way to get relief from your symptoms. 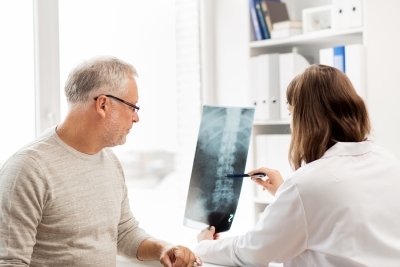 Although spine surgery typically involves a substantial recovery period, an increasing number of back surgeries are performed minimally invasively, so recovery times are shorter. If you are experiencing back pain in Miami, here are some of the signs that spine surgery could be the right treatment for you. When you visit a back doctor, he or she will likely recommend conservative treatments for your pain before suggesting surgery. He or she may advise you to restrict your activities, use heat and ice, and try both over-the-counter and prescription medications to control your pain. Your doctor may also suggest physical therapy or steroid injections to strengthen your back and reduce inflammation. For some patients, these treatment don’t provide adequate relief, while for other patients, they may provide temporary relief but lose their effectiveness over time. Painful symptoms are getting worse. If conservative treatments fail to even keep your pain level steady and instead your symptoms become worse, then back surgery may be the answer. Worsening back pain can lead to a range of complications, including nerve damage that can cause numbness in your legs. When pain is getting worse, it is usually a sign that conservative treatments will not be effective and that surgery is the best solution. Daily activities have become too difficult. Back pain can be mild or severe. For some patients, it is a minor inconvenience but is easily managed with conservative treatment techniques. For others, however, the pain can become so severe that everyday activities become impossible. When things like going up and down the stairs, doing your job, and taking part in activities you love become too difficult to do, talk to your back doctor. Surgery can correct the problems in your back so you can get back to enjoying your usual activities.